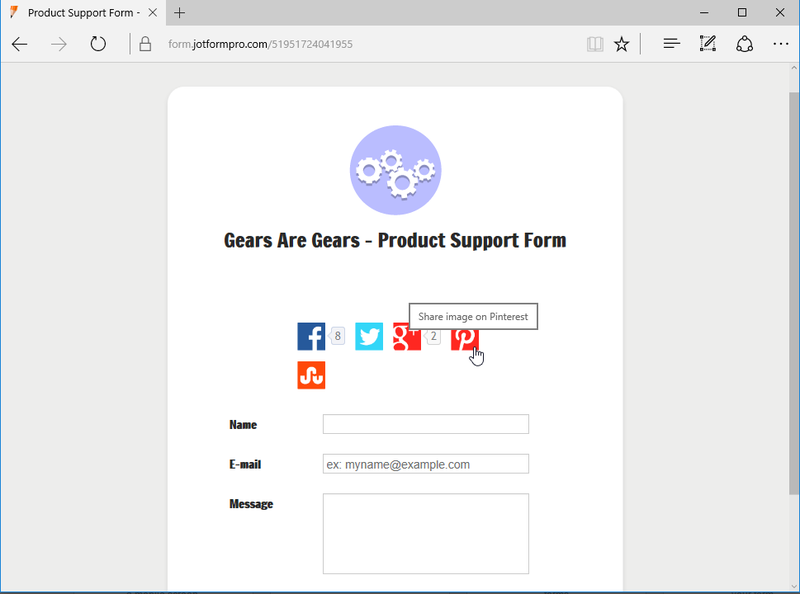 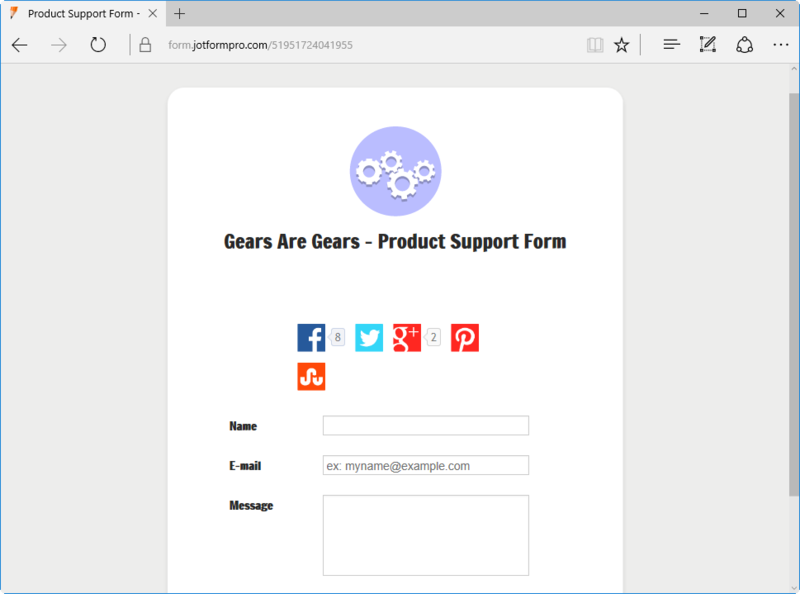 This widget helps you get the word out by adding Social Share buttons on your form so that your form users can click on and spread the word to their social networks. 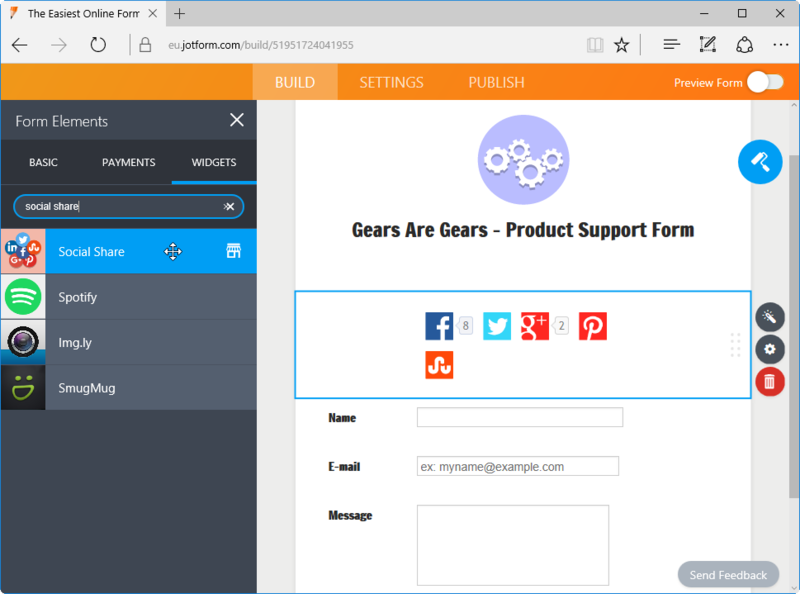 The widget sports all the popular social network sites such as Facebook, Twitter, etc., allowing you to configure a URL to your product, service or even your form that will be shared when the buttons are clicked. 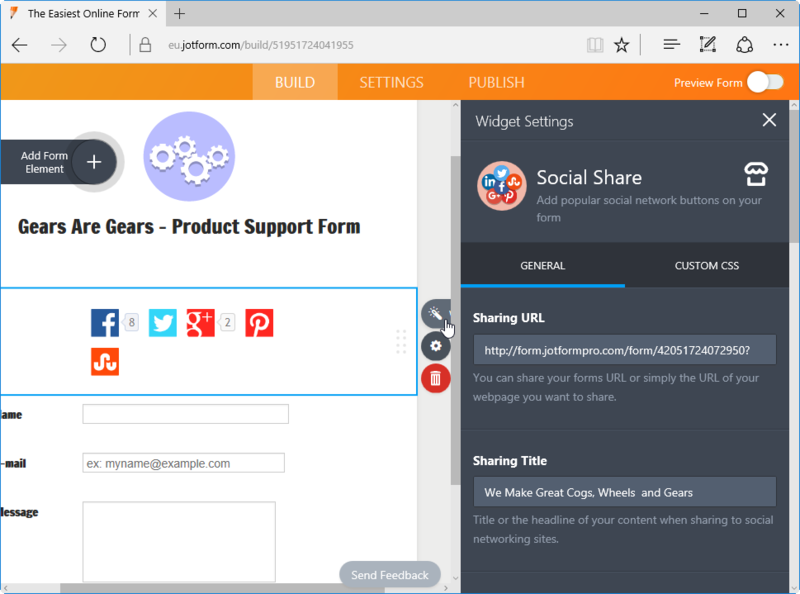 Social Share also allows you to add a short title, as well as an image you would like to be passed with the share title.